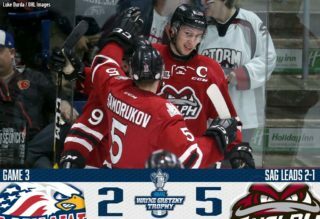 The Guelph Storm announced today that goaltender Anthony Popovich is the Player of the Week for the week ending October 22nd, 2017. 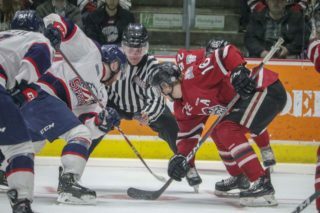 Popovich started in all three of the Storm’s games this week, kicking it off with a 45 save performance in a 2-1 win over the Hamilton Bulldogs on Friday night. 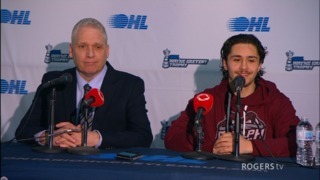 He then backstopped the Storm to a 2-1 win over the Saginaw Spirit on Saturday stopping 31 of 32 shots. 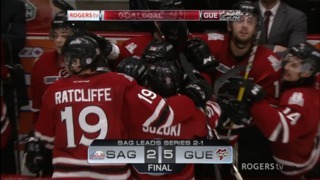 On Sunday in the Sault, the Belleville native made 40 saves in a tough loss to the Greyhounds. In his three starts this weekend, the netminder posted a 2.69 goals against average and a save percentage of 0.935 and was named 1st star on Friday night against the Bulldogs. So far this season in 11 games played, Popovich has a record of 5-5-0-1, a 2.94 goals against average and a 0.913 save percentage. Next up, the Storm return home to play the front end of a home and home with the Otters on Friday night at 7:30pm. Saturday the team travels to Erie for a 7pm puckdrop before returning home to host the London Knights at 4pm. 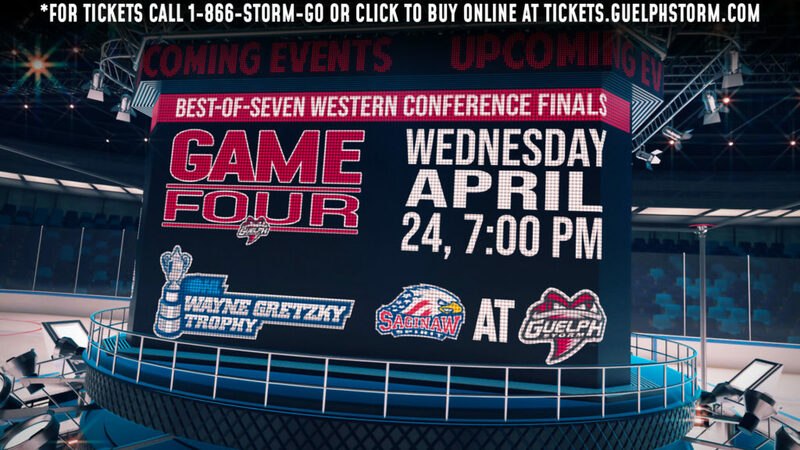 Tickets are still available for Friday and Sunday and can be purchased online or by visiting or calling the Guelph Storm Box office at (519) 837-9690. Friday, October 27th is Oosterveld Heating and Air Conditioning’s second annual Winter Wear Drive in support of Hope House. Purchase your ticket here. Last year Storm fans generously donated over 70 adult coats, 9 pairs of snow pants, 16 youth jackets, seven baby coats, 43 scarves, six pairs of boots, approximately 30 pairs of new socks and a lot of winter hats and gloves! Click here for more information . Sunday, October 29th is Spyke’s annual Halloween bash! Little Storm fans are encouraged to dress up in their Halloween costumes and take part in Spyke’s parade during the 2nd intermission. Candy will also be set up around the concourse for those participating to trick or treat.